If you read our blog last week, you’ll remember we posted a recipe for Champus, a mazamorra-like dessert, traditionally served hot during cold winter months in Lima. This dessert is very simple, except for the unexpected addition of an ingredient that is widely popular in the Andes, called mote. Mote is nothing more than shelled and dried corn, that is then rehydrated to make soups, stews, and even desserts, as we saw with the Champus. 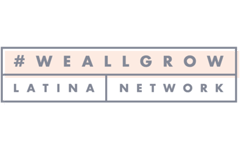 Outside of Peru, you can easily get it in Latin American grocery stores, or online. One of the great things about being in Lima, is that one is always surrounded by people from all over Peru, eager to share new recipes from their local cuisines. When I bought mote at the organic farmer’s market to prepare Champus, I had never tried it before; but Nancy, our cook, immediately started naming all her favorite dishes with this ingredient. She comes from a very small village in Apurimac, a region in Southern-Central Peru that borders with Cusco. Nancy is usually shy when it comes to sharing her recipes, because she mistakenly thinks they are too simple and we won’t like them. But when she saw the bag of mote last week, her eyes sparkled with excitement, and she immediately started talking about all the foods she loves making with it. 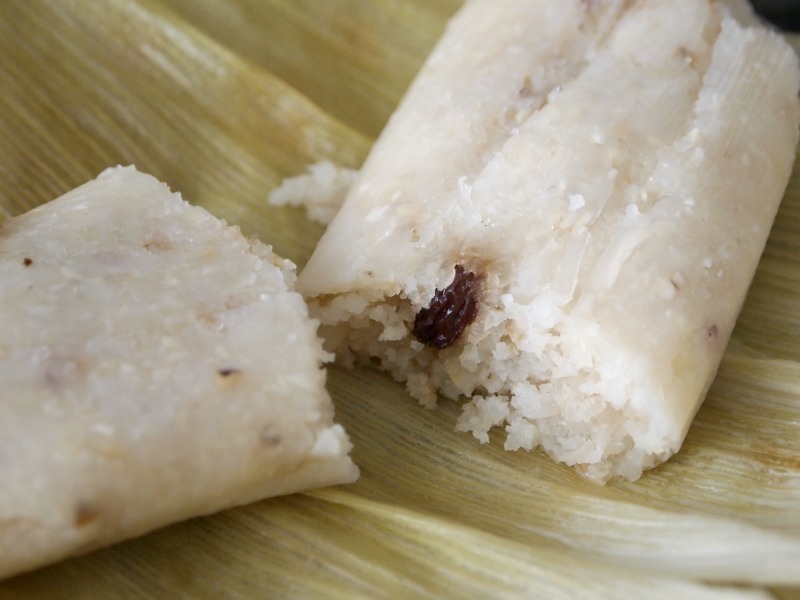 She had already mentioned before that dessert is not very common in the Andes, but apparently eating humitas de mote (sweet tamales made with mote) is one thing they do enjoy preparing when they have a desire for something sweet. Fascinated, as I always become when presented with new food concepts and recipes, I immediately sent her to the store to get all the other ingredients needed, which were only 2, and we got down to work. Since we don’t have a corn grinder, and used the food processor to grind the mote instead, Nancy says the resulting texture was grainier than what she’s used to. But we all liked it like this anyway, so no need to go through the hassle of finding a corn grinder. We filled the humitas with raisins only, as she always eats them, and added some sugar and oil to the paste. 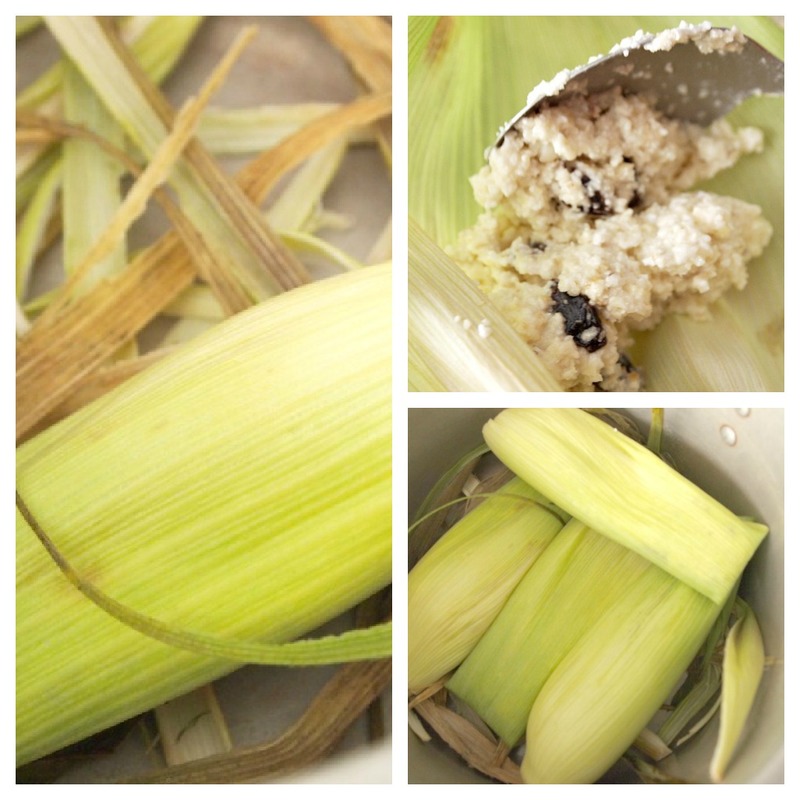 To wrap them up, fresh corn husks are the norm. When we were making them my imagination ran wild and I started thinking of all the possible fillings for these humitas. Next time I think I’ll make them with raisins (maybe soaked in Pisco), apples, pears and cinnamon. 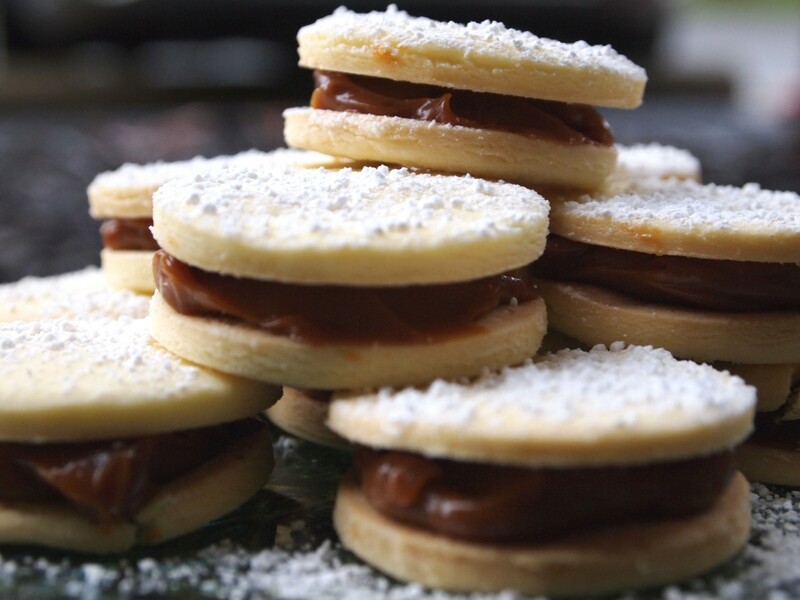 Dulce de leche is also tempting me. What would you fill them with, other than raisins? When ready to make the humitas, grind the corn in a food processor until a paste forms and it's as thin as you can get it. Mix sugar and oil into this paste, until you get a thick paste texture, and it's sweet enough for you. Add raisins into the mixture. Cover the base of a pan with shredded corn husks. Put 2 tablespoons of dough in the center of each husks, and wrap forming a rectangle. Put the humitas laying down in the pan, forming several layers. 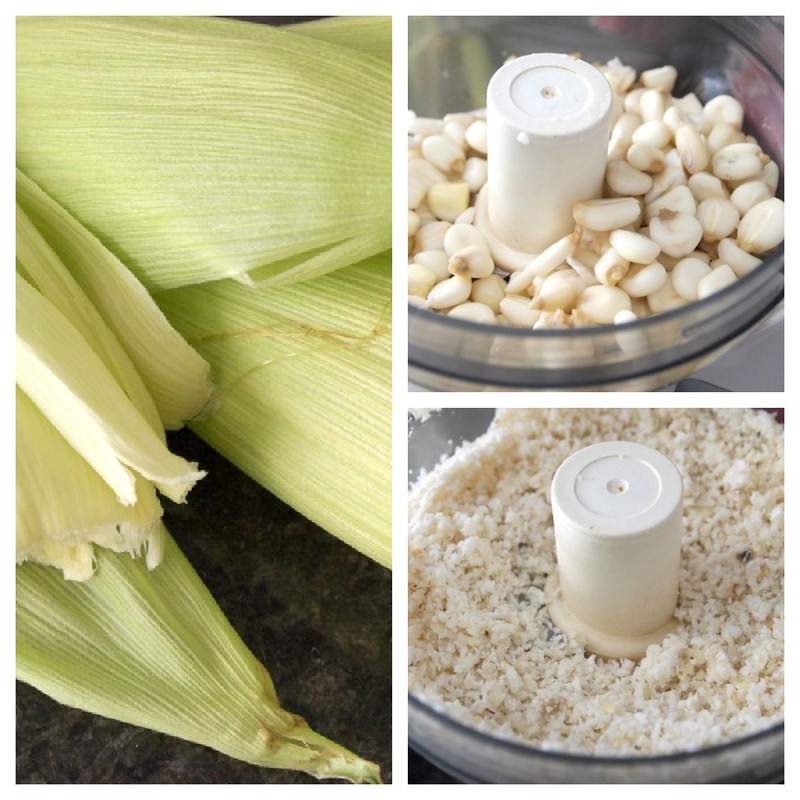 Cover everything with more shredded corn husks, and add some water to the pan (2 - 3 cups would be enough). Bring to a boil and cook, covered, at medium heat, for 25 minutes. Let cool for at least 10 minutes before serving. I love it, is so easy and yummy! I have a question about this recipe. Could I use frozen peruvian corn? or do I necessarily need to use mote? 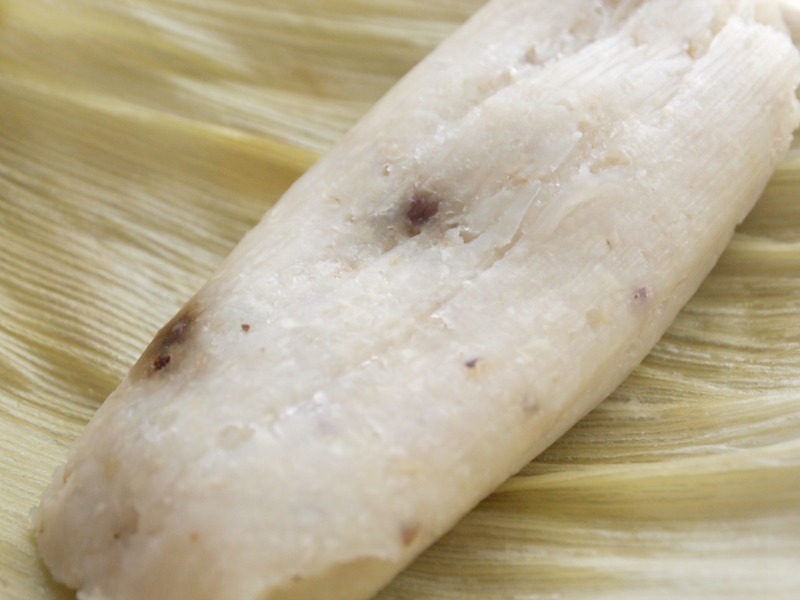 Claro que si Milu, you can use frozen Peruvian corn, but be aware that sometimes it is cooked.